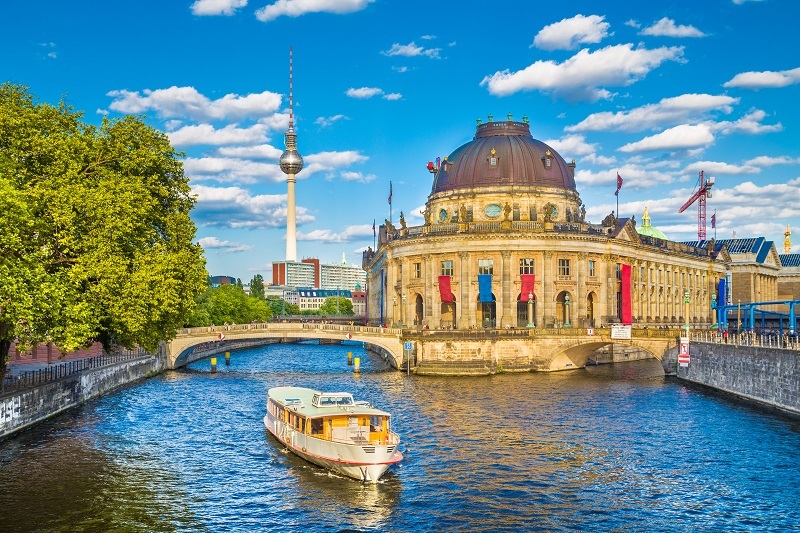 A multi-country jaunt is an incredible adventure that requires some planning, but you can make the transition from country to country smoothly with our new cross-border fares from Germany to Italy. Routes from Munich to all major cities in Italy are available, so you can plan accordingly for your time in Deutschland and make your way across the northern countryside of Italy while you ride the rails in style. Deutsche Bahn AG, or German Railway, operates more than 25,000 miles of the rail networks in Germany. Changing trains in Germany is very fast and easy. In many cities, platforms are designed in such a way that the train you need to transfer to may be standing immediately across the platform from the train in which you arrive. The Berlin Hauptbahnhof is centrally located only a few blocks from the Reichstag. Berlin trains going to Italy will mostly connect through Zurich. The Hamburg Hauptbahnhof is also very impressive. There are 14 Gleise (tracks). Gleise 1 to 4 serve the S-Bahn, the suburban rail service and Gleise 5 to 14 are for regular train service. Most InnerCity Express (ICE) trains glide in and out of the Hauptbahnhof on Gleise 13 and 14. Hamburg trains to and from Italy will connect through either Zurich or Basel, Switzerland. The Munich Hauptbahnhof has several suburban stations, but most international trains stop only at the Hauptbahnhof. These trains offer direct service to and from Italy to Verona, Rome, Florence and Bologna. The most popular trains are from Munich to Florence and from Venice to Munich. When traveling from Italy to Germany, it is highly recommended to purchase a ticket and a seat reservation. The tickets are therefore only valid for the day the train was booked. The ticket can be purchased up to three months prior to the date of departure, at authorized points of sale. If, once purchased, the departure date needs to be changed, a new ticket must be bought in the country where the original ticket was purchased. All Italian tickets, both domestic and cross border must be validated at the machines on the platform before use. Failure to do this will result in a fine of up to 200 Euros.